Love your car but thinking you'd love someone else to clean it for you? Then you're at the right place. Choose from six drive thru experiences below. The most popular wash the Regular Inside & Out will have the inside and outside of your car cleaned in just 15 minutes. Sit back and let American Carwash Company do the work for you. Please note Drive Thru services are not available at Brent Cross Branch. Please see Park & Clean for services available at Brent Cross Branch. Sensitive hand car clean using Autoglym products and soft wash mitts to be gentle on your paintwork, followed by a fresh water wax rinse, which beads the water and assists in the drying process, then cars are blow-dried and finally hand finished with leathers. All the benefits of the Regular Outside Wash (hand car wash, wheel cleaning, wax rinse, hand finished) but with an additional wax rinse for added shine and get your wheels cleaned with our special formula cleaner to remove the most stubborn of brake dust. Sensitive hand car clean using Autoglym products and soft wash mitts to be gentle on your paintwork, followed by a fresh water wax rinse, which beads the water and assists in the drying process, then cars are blow-dried and finally hand finished with leathers. Upholstery and carpets vacuumed, even the boot. Plus dashboard and centre console dusted, windows are cleaned for sparkling crystal-clear vision inside and out. Autoglym air-freshener applied to carpets. All the benefits of the Super Inside & Out Wash (Hand washed, wheel cleaning and detailing, wax rinse, hand finished, double wax rinse, streak-free windows, special formula wheel cleaner, vacuumed, dusted, air-freshener) but with added Tyre dressing applied. Dashboard, centre console and door panels rejuvenated with Autoglym dressing to add that extra wow factor. All the benefits of the Mini Valet Inside & Out Wash (Hand washed, wheel cleaning and detailing, wax rinse, hand finished, double wax rinse, tyre lacquer, streak-free windows, special formula wheel cleaner, vacuumed, dusted, interior rejuvenated with Autoglym dressing, air-freshener). 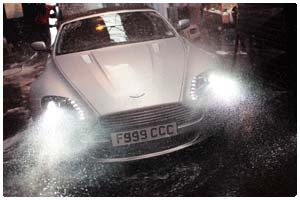 In addition your car will get a special Autoglym Spray Wax to protect it from the harsh weather and look revitalised. All the benefits of the Mini Valet Inside & Out Wash (Hand washed, wheel cleaning and detailing, wax rinse, hand finished, double wax rinse, tyre lacquer, streak-free windows, special formula wheel cleaner, vacuumed, dusted, interior rejuvenated with Autoglym dressing, air-freshener). But with a hand applied Autoglym radiant wax polish, to add extra protection and shine to your paintwork.